2NDS. 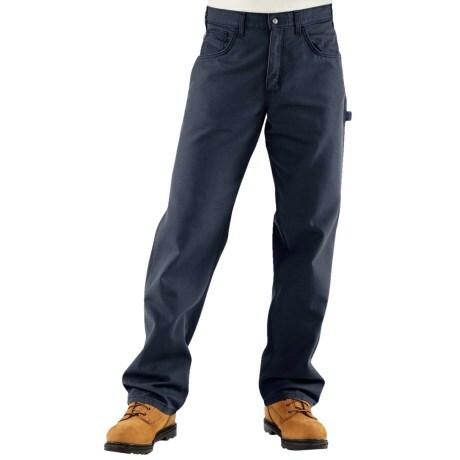 The looser fit and lighter weight make Carharttand#39;s Flame-Resistant Midweight canvas jeans a smart choice for summer, with multiple utility pockets for tools, cell phone and more. Available Colors: DARK BROWN, DARK NAVY, GOLDEN KHAKI, MOSS.